Do you have a broken or missing tooth? When any of your teeth becomes broken or lost, you may find it hard to smile in public. You may not feel confident about yourself. Nevertheless, you do not have to settle for this kind of sore denture and functional problem brought about by your lost tooth. With Dental Implants Eustis, you can replace your missing or broken tooth, and get back the lost glory of your tooth once again. Dental implants are an artificial set of teeth. They are designed to become a permanent part of your mouth. If your dental implant procedure is done properly, your new set of teeth will look exactly like and functions just like your natural teeth. The dental implant will not move or slip along your gum line. They will serve you for an extended period. Dental Implants look and feel really natural. Hardly will you be able to notice any difference. At times, you will forget that you are putting on an artificial set of teeth. If you are looking for a reliable Eustis Dental Implants dentist, you can turn to Lifetime Teeth Today to get the job done. For over 20 years, we have been providing dental implant services to various patients in Eustis, Orlando, and neighboring communities. We are known to provide a first class dental implant and dental care services. At Lifetime Teeth Today, you are guaranteed to get excellent dental implants and dental care services from Dr. Ronald J. Trevisani and his team of expert dentists. Our professional Eustis dental implant procedure ensures that your teeth are replaced with a perfect match. We replace both single and multiple teeth. We can also help replace your entire set of teeth. The entire procedure is fast and stress-free. During the Eustis Dental Implants procedure, a titanium post will be placed into your jawbone. This is done through a process generally referred to as Osseointegration. This guarantees that the dental implant fuses perfectly with the neighboring bone, hence, creating a strong bond. In the dental implants Eustis procedure, the artificial teeth will be the same color as that of your tooth. This will make your tooth appear a lot more real. At Lifetime Teeth Today, we make use of advanced types of equipment and cutting-edge techniques for our Central Florida Oral Surgery and Dental Implants Eustis procedure. We have been able to record a high success rate in the Eustis Dental Implants procedure. Our Florida Dental Implants are very reliable and durable when compared to other traditional teeth replacement options. Lifetime Teeth Today is a comprehensive Central Florida oral surgery and dental implant center. We are able to professionally carry out all the processes involved in the Dental Implants Eustis procedure, such as the final fitting of the customized dental crown, bridge, or hybrid bridge right here under one roof. Furthermore, we work with a team of competent, highly experienced oral surgeons and implant dentists that have been providing dental implant procedures for several years. Dr. Ronald J. Trevisani and his team of dental experts will always be available to offer you an array of advanced options, including treatments for single and multiple missing teeth, mini-dental implants, implant anchored dentures, and lots more. Are you looking to regain the lost glory of your tooth back? It’s high time you stop going about with broken tooth or with a hole in your teeth. Lifetime Teeth Today has the perfect solution for you. 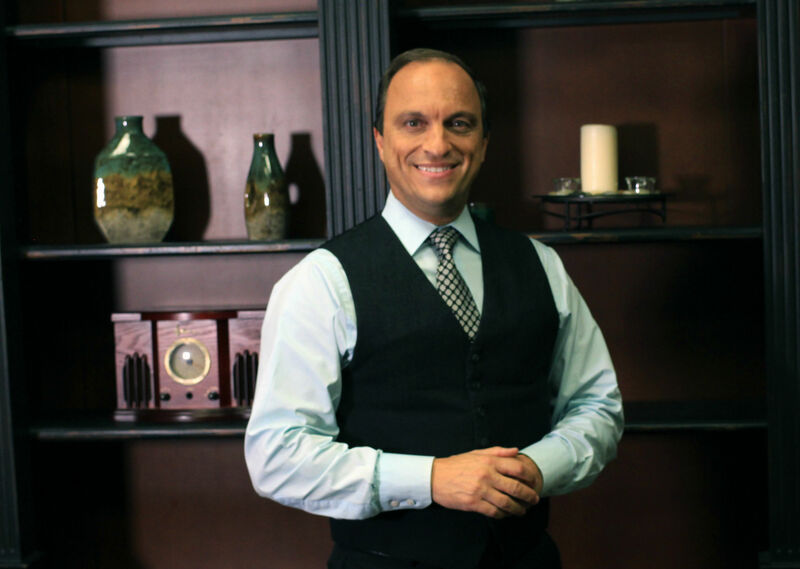 Dr. Ronald J. Trevisani is the perfect Oral Surgeon Orlando to help you restore the look and function of your teeth for a healthy, beautiful smile. Get in touch with us today. Our dental care staff will be available to answer all your questions.